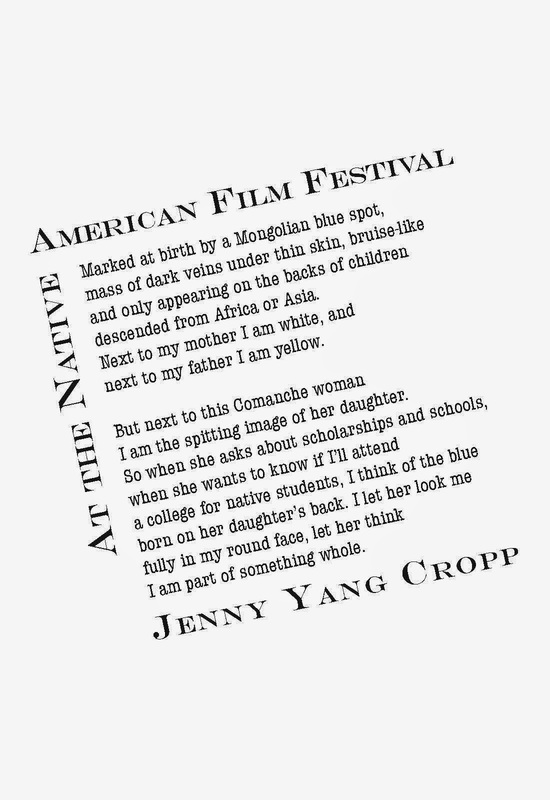 Jenny Yang Cropp is the author of one chapbook,Hanging the Moon (RockSaw Press). Her poems have appeared in Boxcar Poetry Review, Ecotone, Hayden’s Ferry Review, and other journals. She grew up mainly in Oklahoma, received her M.F.A in creative writing from Minnesota State University-Mankato, and is currently a Ph.D. candidate in English at the University of South Dakota. 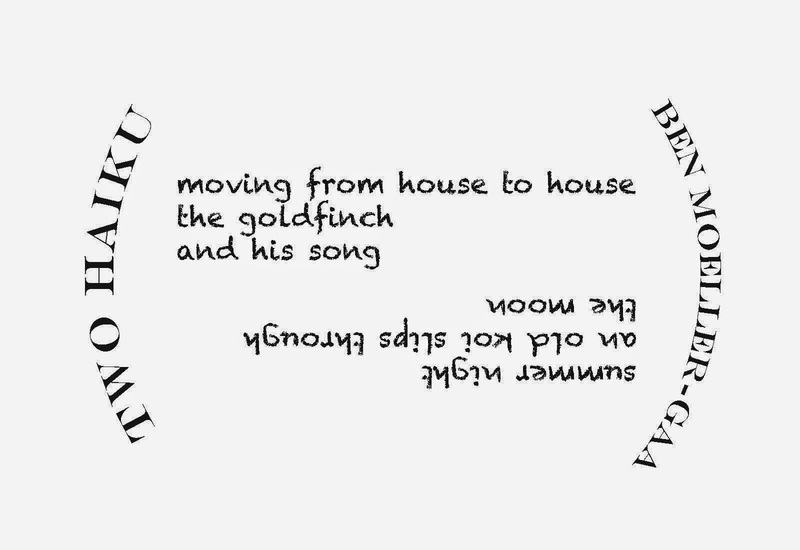 Click on an image to read the full text of the poems, or purchase them here. 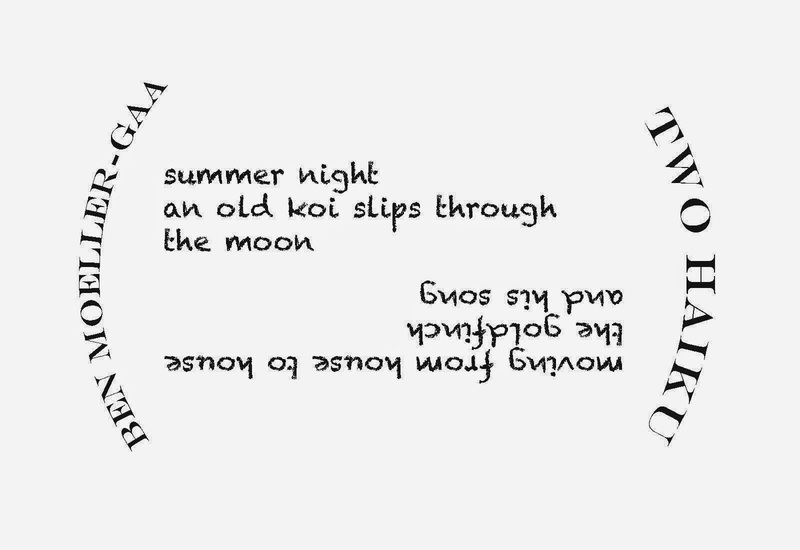 Ben Moeller-Gaa is the author of two haiku chapbooks, Wasp Shadows (Folded Word Press 2014) and Blowing on a Hot Soup Spoon (poor metaphor 2014). His haiku, essays and book reviews have appeared in over 25 journals worldwide including Acorn, Modern Haiku, A Hundred Gourds, Frogpond, Shamrock and World Haiku Review as well as in several anthologies such as Haiku 21, the Red Moon Press's yearly "Best of English Language Haiku" anthologies (2011, 2012, 2013) and The Haiku Foundation's Mobile Haiku App. 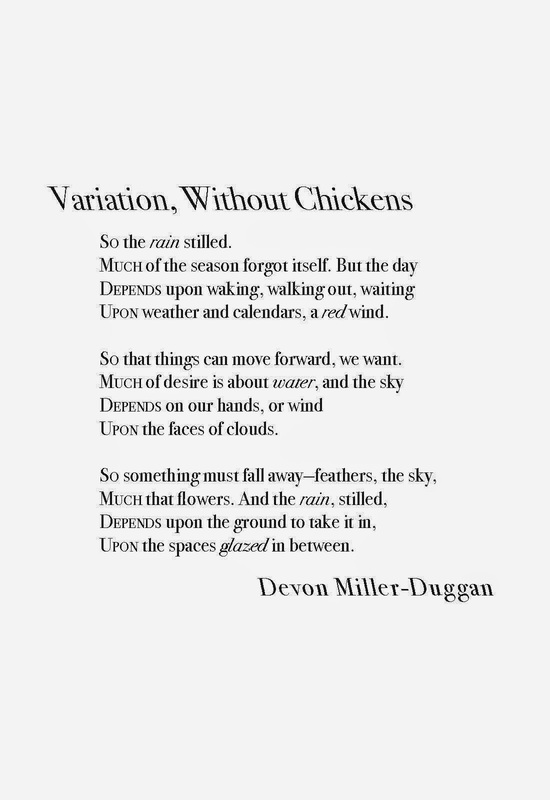 Devon Miller-Duggan's first collection, Pinning the Bird to the Wall, was published in 2008 by Tres Chicas Books. A chapbook of off-kilter poems about angels was just published in September by Finishing Line Press. She teaches Creative Writing at The University of Delaware.